When streetcars burst onto the North American scene in the late 1800s, cities large and small quickly filled with tracks. Streetcars were substantially faster and cheaper than the prior alternatives of walking or horsecar – a car drawn on rails by a horse. But streetcars’ dominance was brief. As the price of autos plummeted, people turned quickly to this faster and more flexible form of transit. Riders abandoned streetcars in droves less than twenty years after their invention. Is the imprint of streetcars visible today? In collaboration with the economist Byron Lutz, I hunt for evidence of the extinct streetcar network in the County of Los Angeles. 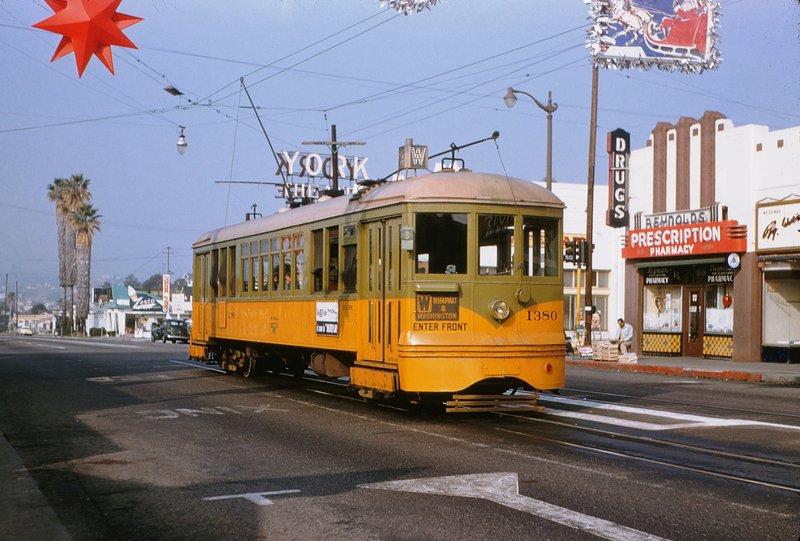 Los Angeles is a particularly interesting case because it had the world’s longest network of streetcars, and the streetcar’s heyday coincided with enormous expansion of the Los Angeles population.1 As in the rest of North America, the streetcar was in decline by the late 1910s, and the last rails were ripped out of Los Angeles streets in 1963. When the streetcar was first built, areas near streetcar stops became valuable due to their transit advantage. This greater value yielded larger buildings and therefore denser population, near the stops.2 However, as riders became drivers, the unique advantage of areas near the streetcar declined. Thus, unless some other factor continued to hold people in these locations, we expect that, in the long run, areas near streetcar stops should be no denser than other locations. Our research shows, however, that areas near streetcar stops remain substantially denser.
. . . Thus, more than fifty years after the last streetcar track was torn out of the ground in Los Angeles, the streetcar’s imprint remains readily visible. We suspect that Los Angeles is not an anomaly, and that the streetcars’ echo should be visible across North America, illustrating the long-lasting consequences of land use decisions. Leah Brooks is an assistant professor at the George Washington University’s Trachtenberg School of Public Policy and Public Administration in Washington, D.C.